"The smallest feline is a masterpiece". That's what Leonardo da Vinci once said and I couldn't agree more. 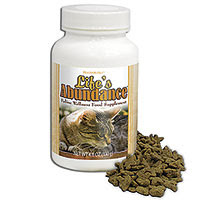 That is why I am so happy to announce that I formulated a new and improved supplement for cats called Life's Abundance Wellness Food Supplement For Cats. The more I learn about the way bodies function, the more amazing they seem to me. 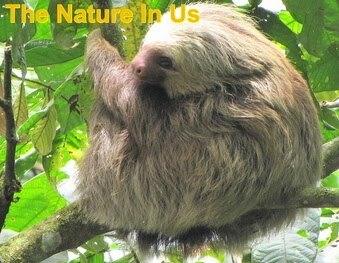 There is a growing amount of anecdotal evidence that suggests a mammal’s body has a highly complex, natural intelligence. As a holistic veterinarian, I review such evidence, interpreting it within the context of established scientific knowledge. Based upon these observations, it seems that a cat’s body “prefers” nutrients as they exist in foods, in their more natural state. On a cellular level, their bodies are familiar with the nutrient components and therefore the body knows to absorb and assimilate exactly what it needs. That is why I believe that small amounts of nutrients in foods can have a profound affect on a cat’s body. In light of this information, I formulated a new approach to add to the overall nutrient intake, creating Life’s Abundance Wellness Food Supplement For Cats. This new supplement is formulated with a wide variety of naturally-nutritious ingredients to help maintain overall health. The proteins in this superior supplement are sourced from high-quality chicken, herring, chicken liver, salmon and pork meals. We have also included chicken cartilage, a natural source of glucosamine and condroitin sulfate. This supplement also contains other nutritious ingredients such as alfalfa sprouts, tomato pomace and fish oil. And last but not least, even the most finicky of felines will enjoy the savory taste of these nutritious nuggets! Supplementing a cat’s diet can play an important role in maintaining overall health, and I hope you will allow your cat to try this new and improved supplement.